In this article, we look at USI Tech’s cryptocurrency scam. While it’s one thing to know that a project has committed fraud, it’s even more important to truly understand the characteristics to prevent such an incident from happening to you. Here’s how the company was able to pull this off. What Exactly Is USI Tech? USI Tech (United Software Intelligence Technology) is a company that claimed to develop the world’s first automated trading platform for Bitcoin (BTC). Starting in May 2017, USI Tech started concentrating on selling BTC packages to traders and miners who wanted to automate these activities. At first, a lot of people bought into this plan. However, after some time, they began to increasingly suspect that USI Tech was really a Ponzi scheme. But how did the company pull it off in the first place? A lot of cryptocurrency project websites provide tons of relevant information about founders and team members. However, many also do not. In the case of USI Tech, the latter was true. On the project website, there wasn’t much info about who the USI Tech owners were. Furthermore, the site didn’t provide much information about the products that USI Tech was selling. What we do know is that Joao Severino and Ralf Gold founded the project. Before starting USI Tech, Severino was banned from all financial activity in Portugal because of his involvement with another scam company called AMC Invest. Even worse, Ralph Gold had been involved in all sort of Ponzi scheme companies. These included AdsProfitReward, MX Fast Money, World Consumer Alliance, HourlyRevShare, AdsProfitWiz, APR Clicks, and Upper Game. The company also claimed to be based in Dubai. However, the registration of the business is actually from Ras al Khaimah, another city in the United Arab Emirates that is well known for its offshore business registration services. 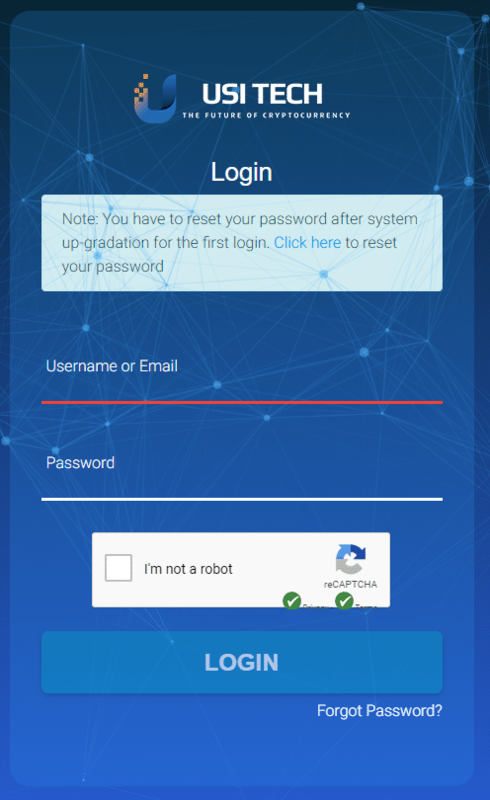 As of November 2018, USI Tech’s homepage is just a simple login page. How Did the USI Tech Claim That Users Could Make Money? BTC packages started out at around 50 Euros each. The more packages you bought, the higher your return would be, allegedly. 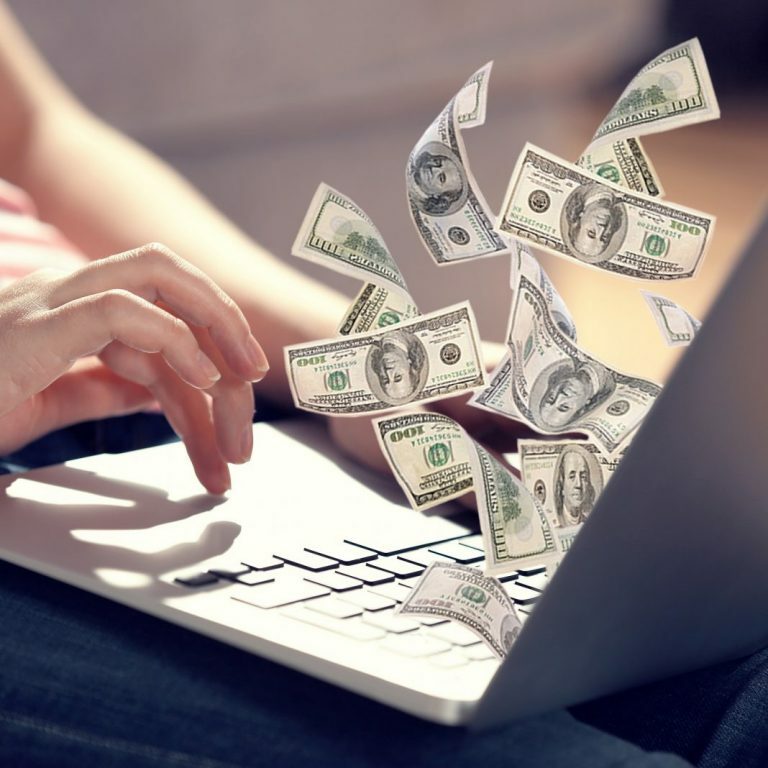 USI Tech’s automated software was supposed to provide a way for users to make passive income. The returns (one percent daily payout on average over five days per week) sounded promising to some people. The company also claimed to offer a staggering 140 percent return over the course of a 140-day package. It also stated (without proof) that some people had already received 150 percent returns. Looking at these promises, it’s clear that this was too good to be true. However, put in context with the bull market of late 2017 and the introduction of new/eager traders, it’s easy to see how some people could fall for this. Still, there were other factors that point to the malicious nature of the company. For example, USI Tech openly operated as a multilevel network marketing company, which made many people view it as a pyramid scheme from the start. USI Tech shut down its operations in the US and Canada in early 2018. October 2017: USI Tech starts the Tech Coin ICO. USI Tech users hand back over 11,500 BTC from the same payments they were receiving from multiplier packages and member purchases. December 2017: USI Tech receives a cease-and-desist order from the Texas State Securities Board. January 2018: USA and Canada users stop receiving BTC payouts. March 2018: USI Tech packages are no longer available for purchase or rewards. March 2018: SEC requests documents from members. April 2018: Spain’s financial regulation agency (Comisión Nacional del Mercado de Valores) adds USI Tech to its warning list. August 2018: The Financial Markets Authority of New Zealand warns that USI Tech has all the characteristics of a scam. Regardless if you are someone who lost funds from this scam or chose to stay away from this particular one, there are a lot of things to take away from the USI Tech story. First, sending funds to a third-party that guarantees high returns is generally a bad idea. As we’ve covered in a previous article, there is another blatant scam on Twitter similar to this. The cryptocurrency market is volatile, and there are certainly no guarantees of making a profit. Second, it’s essential to research the project’s background. In the case of the USI Tech owners, the evidence couldn’t be clearer. Many members were already experienced scam artists well before working for USI Tech. This should have been the only red flag needed for most people. Third, you shouldn’t blindly trust success stories about how people made money through investing in a particular cryptocurrency, product, etc. In any pyramid scheme, this story could simply be a lie. USI Tech had all of the classic signs of a Ponzi scheme. Even though there is ample information about the scam available from various sources online, the USI Tech owners and team members are still trying to fool potential investors. According to one Facebook group dedicated solely to calling out the project as a scam, people associated with the project are now using new language to avoid getting caught. For example, members have been told to avoid using terms like “return of capital” and “investment.” In the future, it’s even possible that the company could change its name to keep the pyramid scheme going. Still, don’t let this fool you into falling for this specific scam or a similar one. Additionally, as of November 2018, the USI Tech website is still online. However, the homepage is nothing but a login screen for existing members. There also isn’t an option for signing up as a new member. Hopefully, you now have all of the information you need to know about USI Tech and the company’s large-scale cryptocurrency scam. As a cryptocurrency investor, always be sure to investigate in-depth and make informed decisions. More importantly, it’s crucial to learn from cases like this. With this knowledge, you should be able to prevent yourself from falling for similar scams in the future. The post How USI Tech Pulled off One of the Largest Crypto Scams appeared first on CoinCentral.